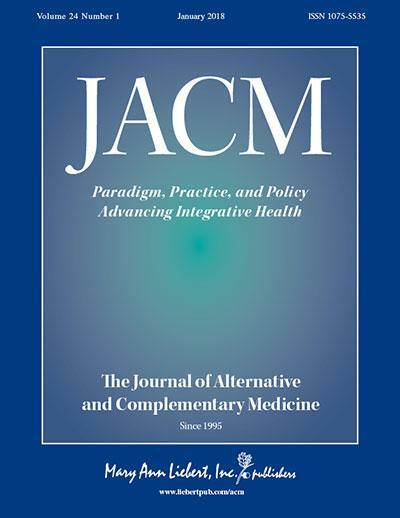 New Rochelle, NY, February 27, 2018– The Journal of Alternative and Complementary Medicine (JACM): Paradigm, Practice, and Policy Advancing Integrative Health announces a new partnership with The Osher Collaborative for Integrative Medicine that will bring the voice of leaders from The Osher Collaborative into the Journal via a new quarterly column. The Osher Collaborative – which consists of the six academically based Centers at UCSF, Harvard University, Karolinska Institutet, Northwestern University, Vanderbilt University, and University of Miami – will use JACM's platform to examine an issue critical to integrative medicine's ascending role as a contributor to reforming the medical industry. The invited commentaries will run as the "Osher Collaborative Forum: Outlooks, Opinions and Opportunities." In the inaugural column "Integrative Medicine and the Imperative for Health Justice," Maria Chao, MD, MPH and Shelley Adler, PhD, Osher Center for Integrative Medicine, University of California, San Francisco, discuss three strategies for both institutions and integrative healthcare professionals to advance health justice through the use of integrative medicine principles. It is noted by the authors that "ironically, integrative medicine, a field predicated on medical pluralism and diverse approaches to health and well-being, has not completely shed its reputation as elite medicine for the worried well." One strategy in particular asserts that integrative medicine practitioners must "address intrapersonal attitudes, beliefs, and behaviors that perpetuate bias and discrimination." The column is available free on the JACM website until March 27, 2018. "The column does exactly what we had hoped for, and why we have such pride in this partnership with the Osher Collaborative," states John Weeks (johnweeks-integrator.com), the JACM Editor-in-Chief. "Health care benefits from transparent dialogue in areas where aspirations and practices are not in synch. The three strategies from Chao-Adler are guides to greater alignment."